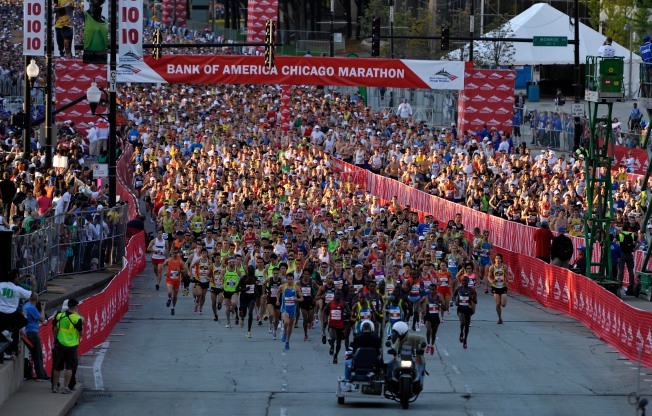 After a summer of bizarre weather, runners are probably wondering what conditions to expect for this year's Bank of America Chicago Marathon. According to data collected from Weather Underground, temperatures typically range from 50 to 70 degrees on marathon days since 1998. Preciptation was mostly non-existent, and even Chicago's blustery winds tend to behave. However, some years have drifted from the norm. 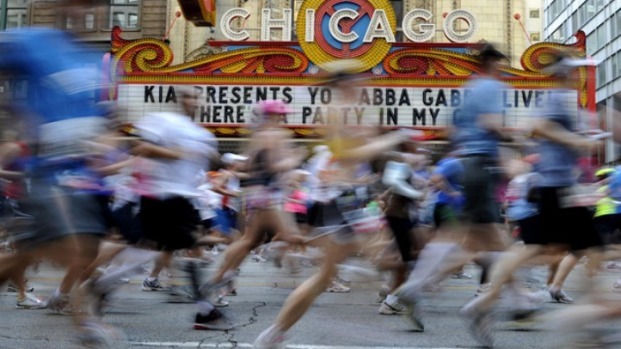 The 2007 Chicago Marathon was notoriously hot, causing the marathon to shut down after 3.5 hours. The 88-degree temperatures plagued several runners and led them to the hospital, with one eventually dying. 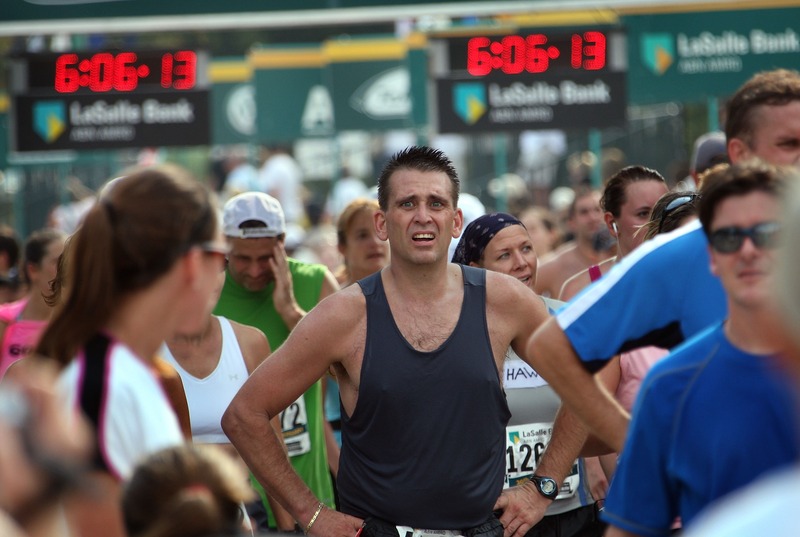 Temperatures also soared to between 80 and 86 degrees in 2008, 2010 and 2011, but fortunately for the runners, those races never reached the 2007 level. The most recent marathon saw seasonable conditions of around 51 degrees with no precipitation, so hopefully runners can expect something similar this year. But as history shows, sometimes you just can't predict these things. October 11, 1998: A high of 69 degrees and a low of 48. No precipitation. Average wind speed of 4 mph. Sounds like it was a nice day. October 24, 1999: A high of 51 degrees and a low of 30. No precipitation. Average wind speed of 8 mph. October 22, 2000: Another lovely day that year with a high of 69 degrees and a low of 53. No precipitation. Average wind speed of 4 mph. October 7, 2001: A high of 53 degrees and a low of 33. No precipitation. Average wind speed of 3 mph. Mike Adamle talks with Rachael Sierminski of Chicago Endurance Sports about using Yoga as a training technique for the marathon. October 13, 2002: A high of 50 degrees and a low of 39. No precipitation. Average wind speed of 12 mph. October 12, 2003: A high of 69 degrees and a low of 48. Finally some precipitation, but only around 0.01 inches of it. Average wind speed of 11 mph. October 10, 2004: A high of 62 degrees and a low of 46. No precipitation. Average wind speed of 5 mph. October 9, 2005: A high of 59 degrees and a low of 50. No precipitation. Average wind speed of 11 mph. October 22, 2006: A high of 48 degrees and a low of 36. 0.12 inches of precipitation. Average wind speed of 11 mph. October 7, 2007: A high of 88 degrees and a low of 71 (yikes). No precipitation. Average wind speed of 6 mph. October 12, 2008: Runners had a little break in the heat, but not much. High of 86 degrees and a low of 63. No precipitation. Average wind speed of 5 mph. October 11, 2009: A chilly year after a couple hot races, with a high of 45 and a low of 28. No precipitation. Average wind speed of 5 mph. October 10, 2010: Back to the warm weather with a high of 84 degrees and a low of 59. No precipitation. Average wind speed of 3 mph. October 9, 2011: A high of 80 degrees and a low of 57. No precipitation. Average wind speed of 3 mph. October 7, 2012: A high of 51 degrees and a low of 38. No precipitation. An average wind speed of 7 mph.